Philosophy is the study of the most basic moral, scientific, legal, aesthetic, religious, and metaphysical concepts and theories by which we understand ourselves and our universe. It is a reasoned pursuit of fundamental truths, a quest for understanding, a study of principles of conduct. It analyzes the basic assumptions and concepts of other disciplines and the norms that govern interpersonal relations and the acquisition of knowledge. It seeks to establish standards of evidence, to provide rational methods of resolving conflicts, and to create techniques for evaluating ideas and arguments. Philosophers are dedicated to developing the following abilities: reasoning clearly, distinguishing between good and bad arguments, thinking through complicated questions, and using reason in situations that are often governed by emotions. Studies have shown that philosophy majors do extremely well on standardized tests, and in careers that require analytical abilities such as the practice of law and software development. But irrespective of career choice, philosophy deepens one’s sense of the meaning and varieties of human experience, and enhances self-knowledge, foresight, and sense of direction in life. The department hosts a colloquium series on Fridays from 2pm-4pm. Recent speakers include some of the best-known philosophers in the United States as well as distinguished philosophers from other countries. The talk is followed by a reception and a dinner that allow for more informal discussions. A designated graduate student lunch before the talk gives the graduate students and additional opportunity to meet the guest speakers. Faculty and graduate students of the department meet for a weekly workshop on Fridays from 12:30 - 1:45pm. The workshop provides a venue for discussion of work in progress. While all department members and guests visiting the department are invited to present their work at the workshop, graduate student work is given priority. The goal of the workshop is to give and receive feedback on philosophical ideas and arguments and identify possibilities for cooperation and joint research. 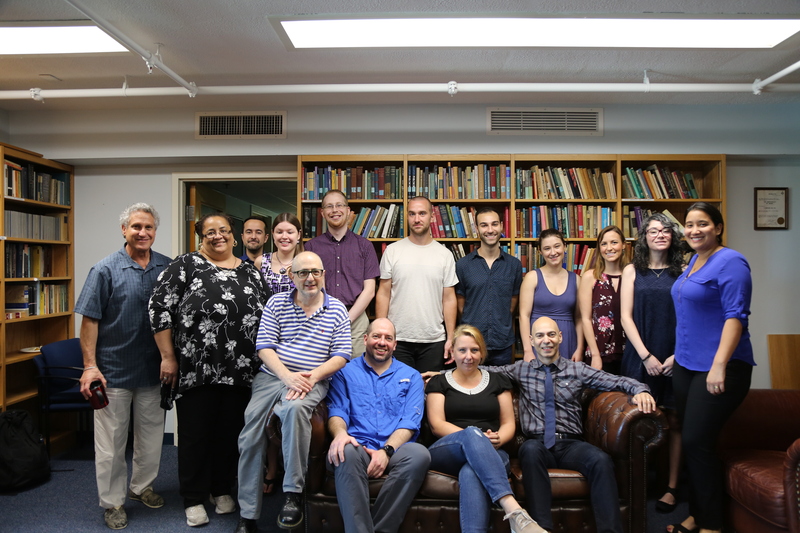 The departments of philosophy and psychology jointly host an interdisciplinary cognitive studies working group for all members of the university interested in research on human cognition. The aim of the group is to discuss current work in progress in an interdisciplinary setting, and to explore possibilities for joint research and for joint educational programs. The working group currently meets once a month. Graduate students working on relevant topics are part of the group. The department hosts an annual Friends of Philosophy Lecture by a faculty member for the general public. Graduate students are encouraged to attend this outreach program.